If you have decided to flex your green thumb on an indoor basis rather than outside, you’ve likely given a great deal of thought already to the prospect of building a grow room. This can be conducted in various spaces throughout the home, depending on the size that you need. Some people are fully satisfied with a closet-sized space, while others require an entire master bedroom to conduct their growing operations. One thing that remains consistent in any of these situations, however, is the necessity of recreating a natural environment for one’s plants. This includes lights and water sources, and also a fair amount of HVAC-related tech. While the necessity for ventilation is well-known in these circumstances, what’s lesser known is exactly why this is. You’ve probably been in a room with no airflow before. No windows to open, no fans to run, making the air stifling and thick. This isn’t fun to deal with, and it’s no fun for your plants, either. Adequate airflow mimics the air that they would receive if they were growing naturally (i.e. outdoors), which can strengthen the stems of plants as they grow. When growing indoors to keep your business private or simply to produce a greater yield than you could with whatever outdoor space is available to you, monitoring the temperature of your grow room is key. Grow lights throw a substantial amount of heat, but it’s important that the room not be made too hot by the temperatures produced by your lighting-system. This can be alleviated, to a degree, with the implementation of lights that throw a bit less heat. The humidity in the air is another thing that you will need to pay diligent attention toward if you are trying to grow anything inside. Excess moisture in the air, paired with the heat given off by your growing equipment, can result in mold and completely ruin your crop. A properly installed HVAC-system will remove extra humidity in the air and make it easier to keep track of the humidity levels in your grow room. Chances are, you want to avoid making the outside of your house reek like the inside of your grow room. The most effective way to minimize or even eliminate this issue is to install a ventilation system that will filter out the smell of your growing crop. 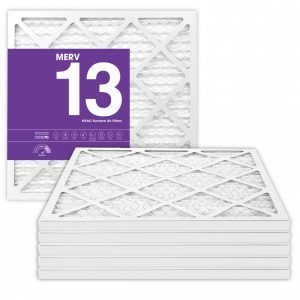 You’ll also want an HVAC-system with a high-quality MERV 13 filter that will keep the air in your grow room as healthy as possible-a plus for you and your plants. Growing-indoors means that there are a lot of specific steps that you must take to ensure a proper growing environment. Essentially, one must synthesize the environment of the outdoors (particularly from a region wherein the plant grows especially well). This means that there is a lot of tech going into this project, and you want to get the most out of it.